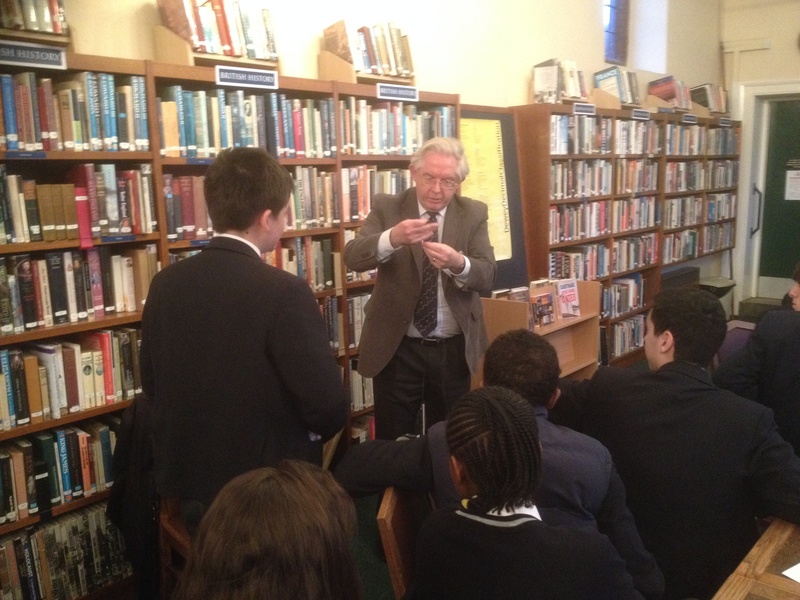 This week’s Williams Project meeting was presented by Professor Howard M. Colquhoun from Reading University’s Department of Chemistry who began his talk on materials science with a demonstration of how much materials had changed in the past half century, using the example of aerospace design. This led on to a talk on the development, use and structure of the materials we use every day, from the humble polyethene bag to complex carbon composites and kevlar, aided by a whole host of entertaining and surprising demonstrations, all in all giving us a greater insight into the shapes, structures, and strengths of the molecules all around us. Mrs Pewsey gave the Williams Project a really interesting account of how her home town, Lockport in New York State, was the scene of an engineering project which opened up vast tracts of the country’s interior to trade and development. By building an amazing staircase of five locks up the steep side of the Niagara escarpment, barges could now take goods and people from the Atlantic coast to the Great Lakes. She illustrated her words with original postcards taken from the book on the subject which she wrote herself. She also spoke about some of the town’s characters, including a Mr Sutherland, who ‘monetised’ the ground-length hair of his seven daughters by marketing a hair tonic. A Williams-Project first was her leading the audience in a rendition of a folk song about the Erie Canal (we were treated to the Bruce Springsteen verse beforehand so knew how to sing it). A great afternoon: Mrs Pewsey managed to convey in her inimitably warm and human way a real flavour of the place, its history and its people. 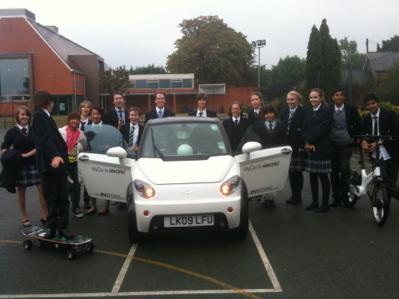 All three Williams Projects were treated to a talk on the latest electric vehicles by Philip Retsas (OC), who now works in the industry. We learnt about the different types of electric vehicle technology, and how economics affected the approaches different companies were taking. The Junior School playground was then turned into a (wet) demonstration track, where pupils were given rides in the electric car, and had great views of their teachers on an electric bike, and trying to ride electric skateboards.